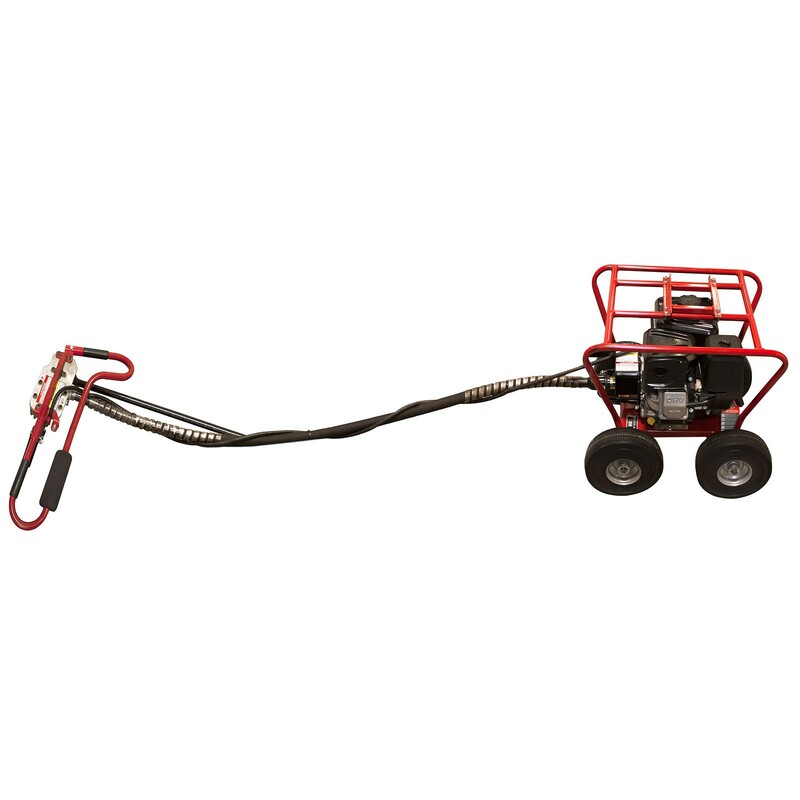 Ideal for the rockiest, hardest, and most extreme drilling situations, our Little Beaver post hole digger with 20:1 slow speed gear ratio will allow you to drill the toughest land. Features a B&S Vanguard OHV engine with 10-inch pneumatic tires, roll cage, and 20:1 transmission. Auger not included. Ideal for the rockiest, hardest, and most extreme drilling situations, our Little Beaver post hole digger with 20:1 slow speed gear ratio will allow you to drill the toughest land. It revolves at 180 RPM to allow for digging in the harshest conditions. Not only does this increase your drilling productivity, but it also results in cleaner holes. This mechanical earth drill reaches areas inaccessible to skid-steer loaders. 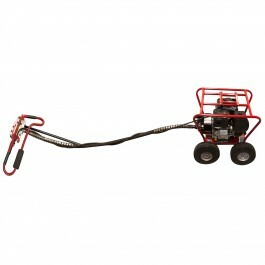 Roll cage allows you to roll your digger over manicured lawns without damaging them. Post hole digger features a B&S Vanguard OHV engine with 10-inch pneumatic tires, roll cage, and 20:1 transmission. Auger not included.